With the holidays fast approaching, chances are, at some point, you'll either be responsible for or in desperate need of a cocktail — or several. But there's no need to be overwhelmed. 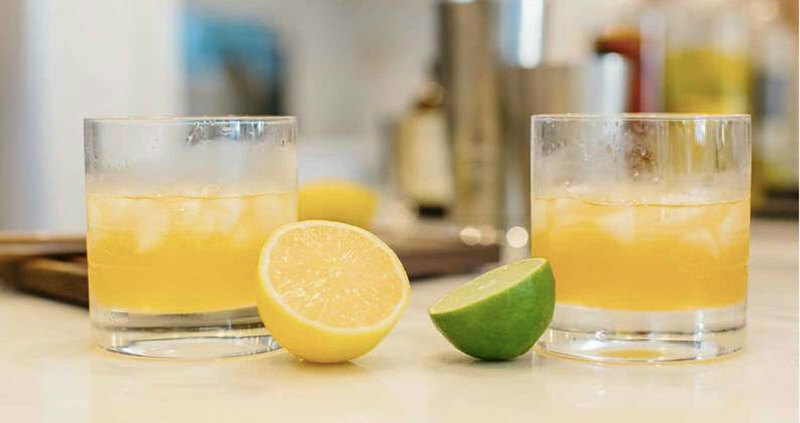 Big batch cocktails deliver on flavor, they're incredibly easy to make ahead of time, and you won't need to be tied to the bar all night to pull them off. 'Tis the season for family gatherings, big hearty meals, and, all too often, an immense amount of stress if you happen to be in charge of hosting. In addition to providing a delectable food spread, hosts are also generally in charge of beverages. And while it's perfectly acceptable to ask folks to B.Y.O.B., this is the South, after all, and we take pride in our manners. 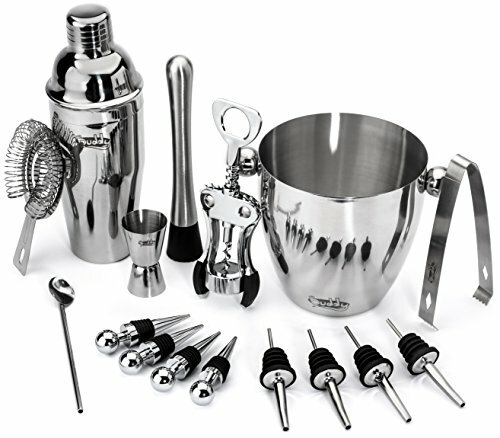 That being said, you don't need to slave over individual cocktails to make sure your guests are having a great time. 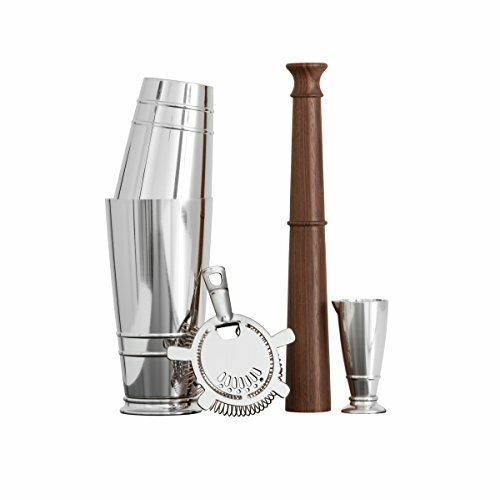 Batched cocktails are the way to go here. They can be made in advance, are beautiful enough to be displayed in your grandmother's punchbowl or a towering beverage despenser, and (perhaps most importantly) don't skimp on the booze. Just in time for your spooktacular Halloween party, this cocktail is the perfect balance between boozy and sweet. 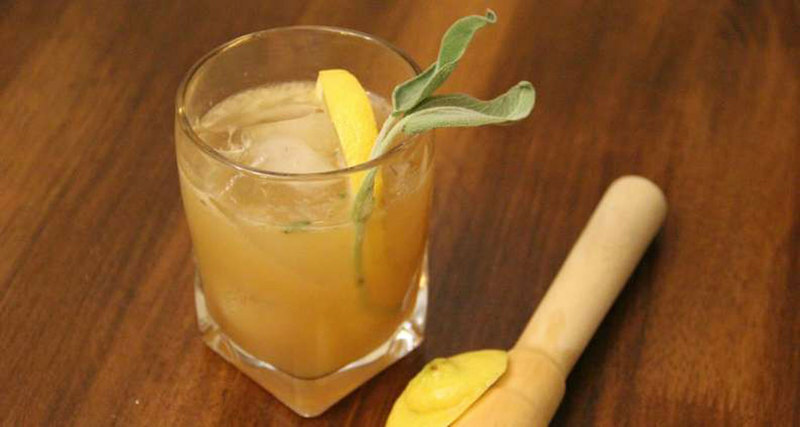 The Good Witch features the Italian liqueur Strega as a main ingredient, which adds a really amazing herbal note, as well as honey simple syrup. Looking to really make a splash? Add in a few cubes of dry ice to provide a festive element. If you're not a fan of Strega, try The Bad Witch Cocktail, which uses yellow Chartreuse instead. In addition to being easier to locate, you might find yellow Chartreuse a little more popular with your guests since it doesn't have the strong herbal flavors of Strega. 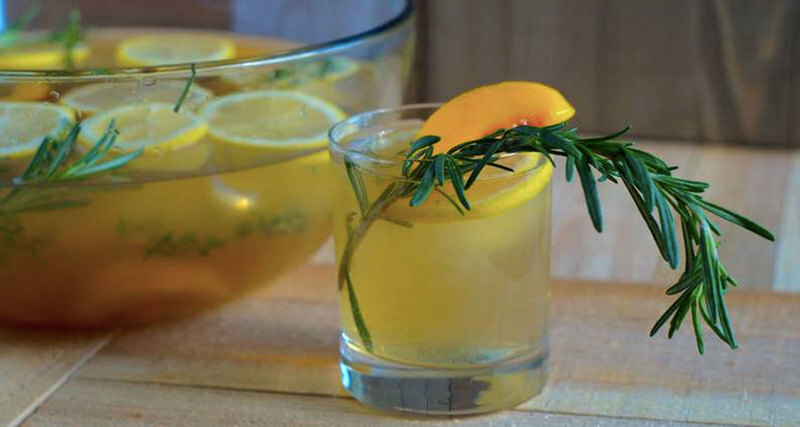 This easy-to-make punch is sure to be a crowd pleaser. Between the frozen peaches, fresh squeezed lemonade, bourbon and sparkling wine, the Peachy Keen is almost like a Southern French 75. The hardest part of putting this cocktail together is making the herbal simple syrup, which requires rosemary, mint and basil. (Don't worry — you can make it ahead of time.) Looking to blow your guests away with presentation? Take a few frozen peaches, lemon slices and rosemary sprigs and freeze them in water in a bundt pan. Not only will the ice melt slowly (and not water down your punch), but the display is truly impressive. 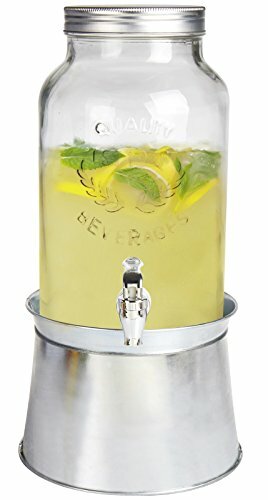 Just keep in mind: In order to make sure this punch keeps its fizz, make sure not to add any sparkling wine until you're ready to serve. 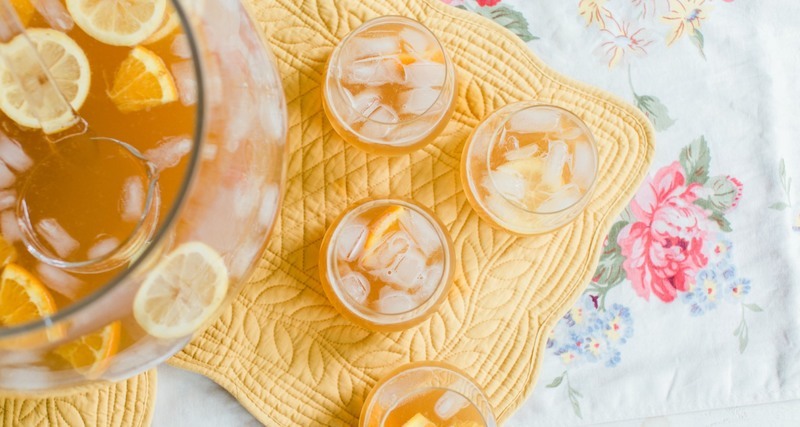 This classic Southern punch comes to us courtesy of Savannah, Georgia. As the story goes, this antebellum drink was a favorite of the local militia. It would mix rum, bourbon and cognac in a bucket along with lemon-oil sugar, and was typically reserved for big celebrations and visits from foreign dignitaries. Luckily for us, this recipe has stood the test of time — it's seriously delicious. Similar to the Peachy Keen punch, Old Chatham Artillery Punch calls for sparkling wine (or Champagne if you really like your guests). Unlike the Peachy Keen, however, this drink really packs a punch (no pun intended). You're definitely going to want to use ice chips to water this one down to keep your party from getting too out of control. 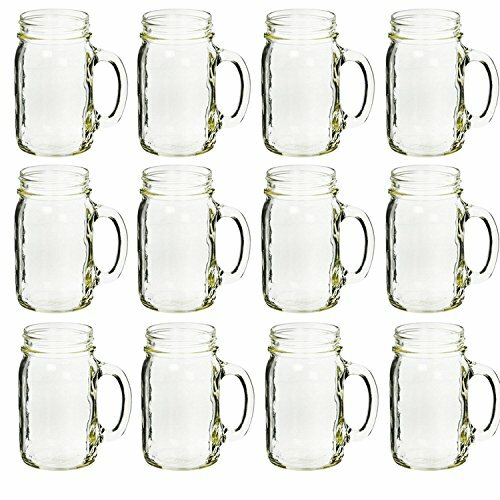 Perhaps one of the most underutilized cocktail sweeteners is maple syrup. It adds a sweet, caramely flavor to anything and is an easy way to upgrade everyday classics like Old Fashioneds, mint juleps, and even a rum and ginger. Here, maple syrup is combined with sage (another seasonal favorite) and the result is the holiday season in a glass. While this recipe is technically supposed to be made to order, batching is simple. How do you make rum taste even better? Add butter — a whole stick's worth, to be exact. This recipe calls for cinnamon sticks, whole nutmeg, allspice berries and dark brown sugar all to be combined in a slow cooker for a few hours. (See, I told you I'd give you some easy recipes.) As I'm sure you can imagine, the smell is absolutely amazing. 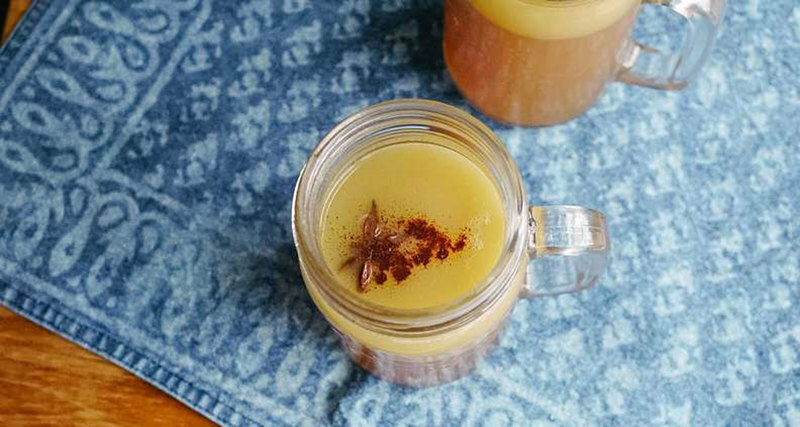 Hot buttered rum is particularly good for a cozy gathering with friends or served after dinner. Be sure not to add the rum in until the very end to avoid cooking off all of the alcohol. Ahh mulled wine, the quintessential cold weather adult beverage. Historians assert that this universal favorite originated in the second century by Romans seeking to ward off the cold. There are countless recipes out there on how to properly mull wine and none are more right than the other. 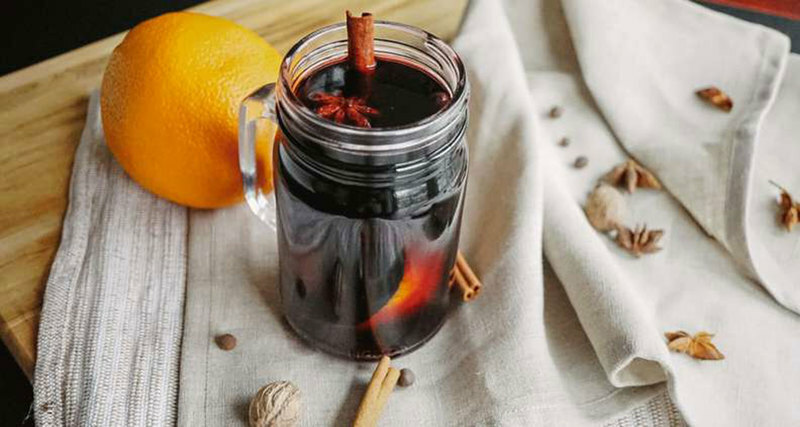 However, here at Southern Kitchen, we like to use a medium-bodied red wine such as a merlot, brandy, cinnamon sticks, orange peels and a host of other aromatics, and then pop it all in a slow cooker for the ultimate set-it-and-forget-it beverage.